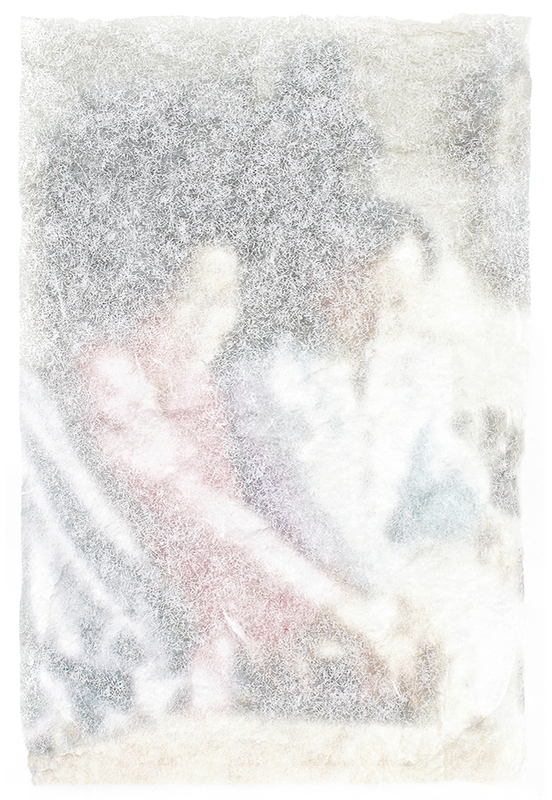 “Back to Heaven” offers the soft, blurry images of old photographs of Ham’s mother. 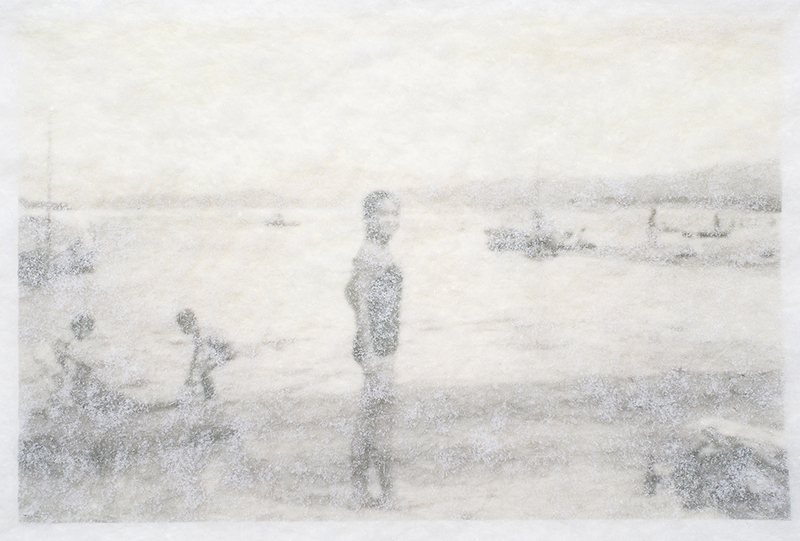 Selected from her family albums, the pictures are re-photographed and printed on rice paper. 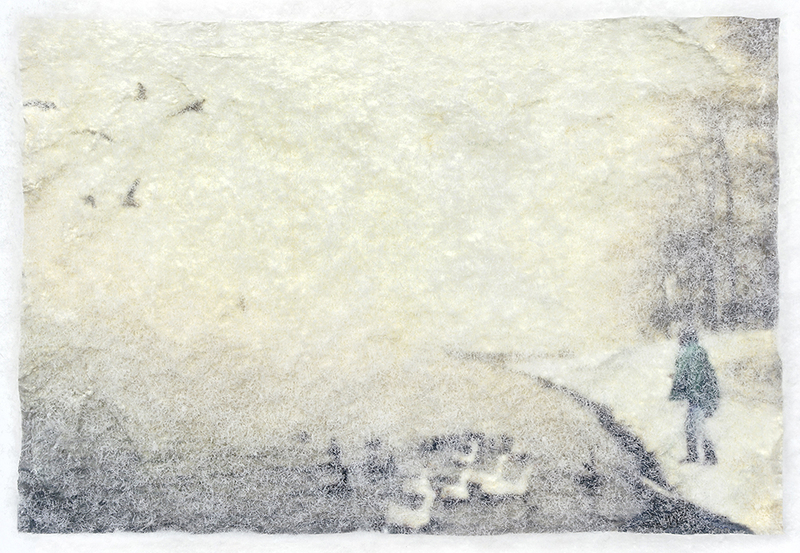 The rice-paper prints are stored in water, then washed and dried repeatedly until the images grow dim. Ham then placed these prints outside during snowfall. 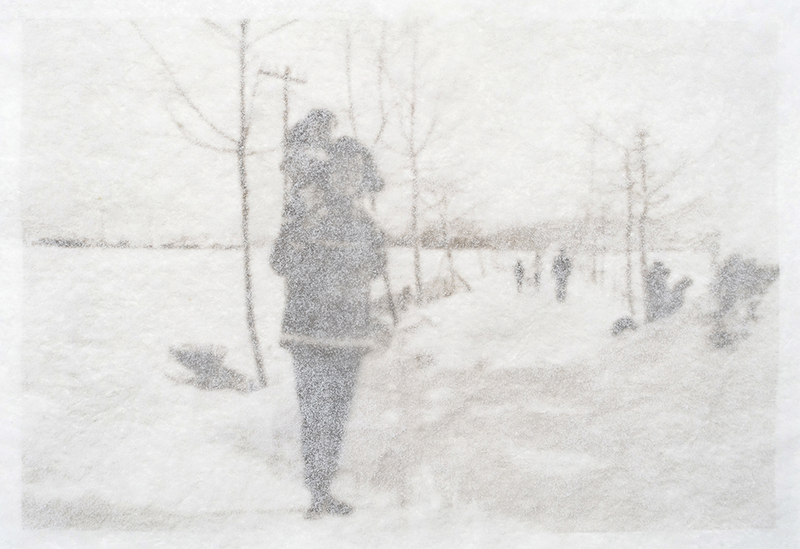 The prints were photographed again, this time just as they began to disappear under the fallen snow. The process was a metaphor that helped Ham understand the cycle of life and fading memory.